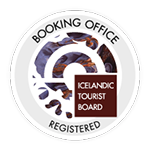 The following booking conditions set out the terms on which you contract with us only regarding Tours and Activity on Icelandconnect.is. Different Iceland ehf. owner of Icelandconnect.is All information provided in on our website www.Icelandconnect.is, to the best of our knowledge, correct at the time of publication. We will advise you of any changes that are important to the contract or which we believe will affect your pleasure gotten from the service. Please advise us if there is any requirement which you believe is relevant to your tour so that we can provide you with the latest information at the time of booking. In these booking conditions, “you” and “your” means all persons named on the booking (including anyone who is added or substituted at a later date). “We”, “us” and “our” means Different Iceland ehf. All terms here except Tours and Activity are not applicable as we use affiliate programs for booking on this website, Flight, Hotels, Vacation and Car Rental. Terms for each section is from the vendor that sell it. a) The prices included in our brochures are subject to updates. Full pricing details are shown on our website www.icelandconnect.is, or may be obtained by calling us.